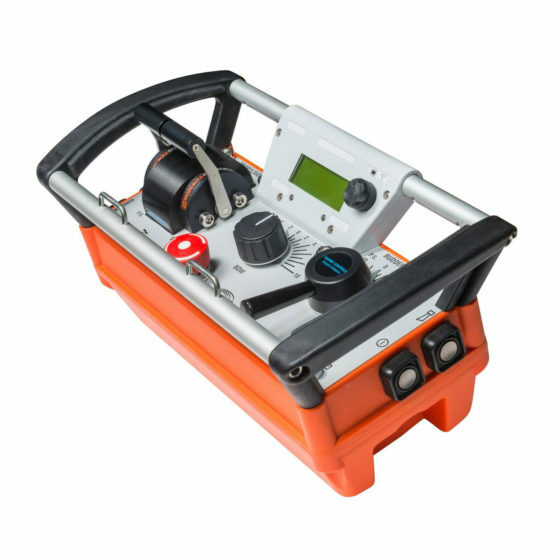 The telegraph systems are supplied with potential free contacts for data logging (voyage data recorder) for each command, and for telegraph alarm, power failure and station on service (in case more than one receiver/transmitter is used). 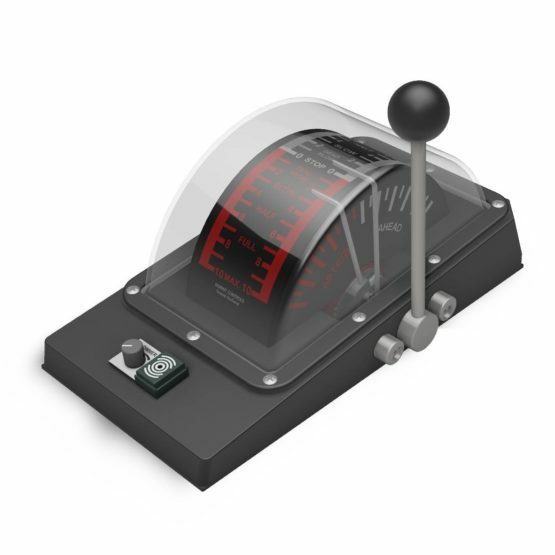 To send an order from the wheelhouse to the engine (control) room receiver/transmitter, the control knob of the wheelhouse transmitter/receiver has to be put in the position corresponding with the required order. A visible and audible intermitting alarm will now come into operation. 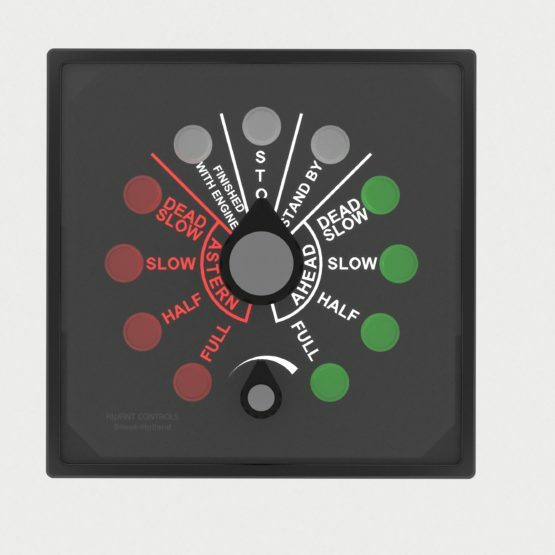 On the wheelhouse transmitter/receiver the requested order is indicated by means of a flashing signal lamp, while at the same time a continuously lit signal lamp shows the position of the receiver/transmitter knob in the engine (control) room. 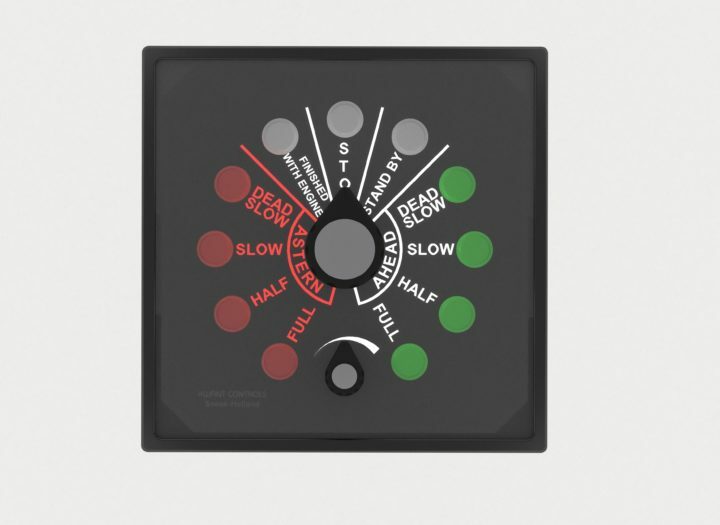 In order to acknowledge the requested order, the knob should be rotated to the position of the flashing signal lamp, after which the alarm will stop. 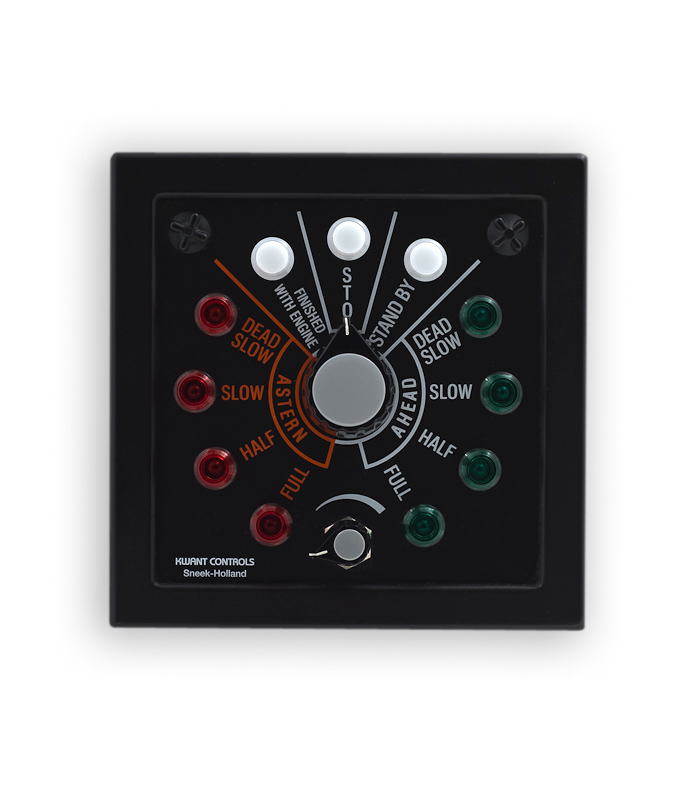 The audible alarm on the wheelhouse consists of an internal buzzer, while for engine (control) room a external gong or claxon can be supplied. 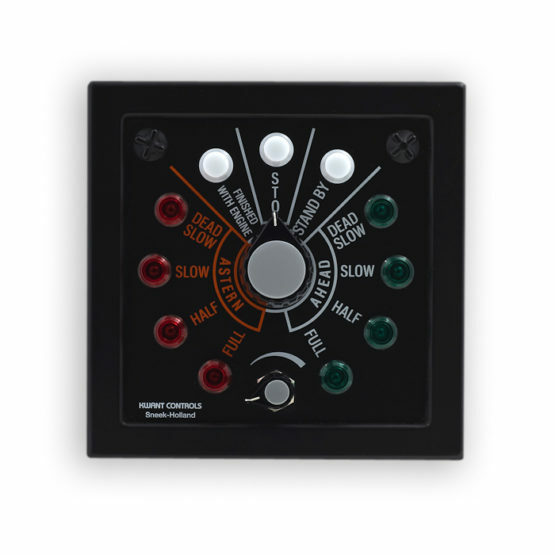 The wheelhouse transmitter/receiver is supplied with a dial illumination and dimmer. Also available in 9 commands i.e. without FWE and STBY. 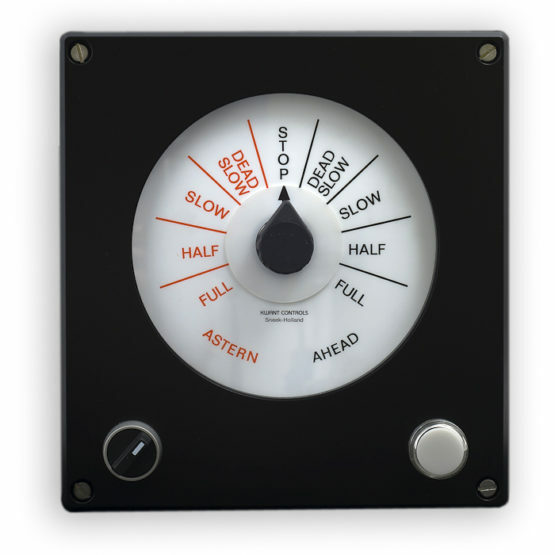 The “Pushbutton” type of Engine Order Telegraphs consist of a row of up to 12 (default =11) interlocked pushbuttons, mounted in a black anodized aluminium panel with dimensions 96x288mm. Each telegraph has a pushbutton for lamp test, all lamps can be replaced from the top by removing an individual lamp cap. 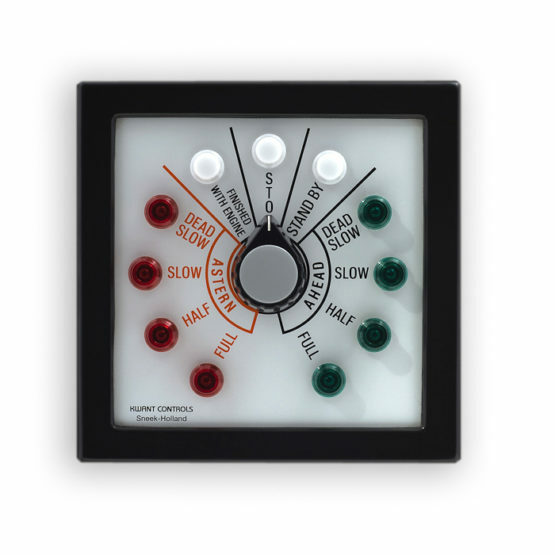 The bridge telegraph has a dimmer to control the lamp brightness. 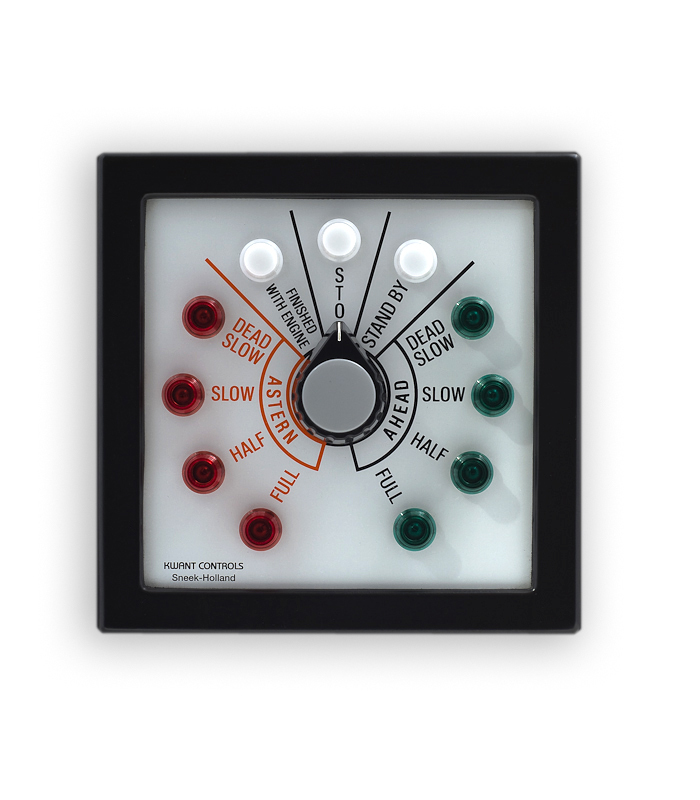 The audible alarm is generated by an internal buzzer. 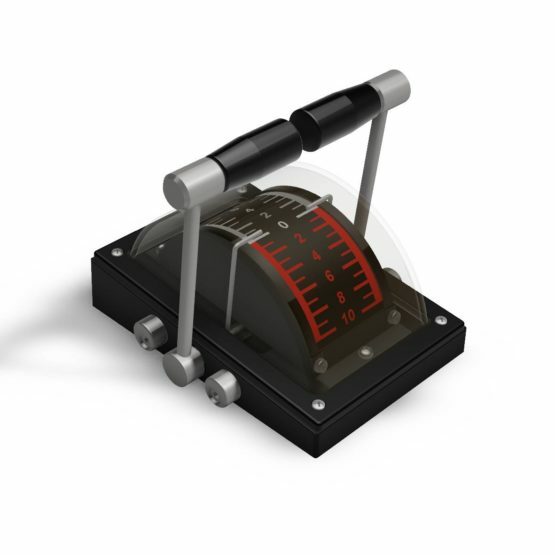 For those areas where a higher sound level is required, external horns and gongs can be supplied.